Green Mountain Energy provides retail electricity service to residential and commercial customers in Texas, Illinois, New York, and Pennsylvania. Green Mountain Energy also serves residential electric customers in Maryland and commercial electric customers in New Jersey. While most retail electric providers offer renewable energy options to their customers, renewable energy and environmental sustainability are Green Mountain Energy’s core focus. NRG Energy acquired Green Mountain Energy in 2010 and operates Green Mountain Energy as a standalone subsidiary. Green Mountain Energy ranked highest in Texas in the J.D. Power 2014 Retail Electric Provider Residential Customer Satisfaction Study. Green Mountain Energy offers both fixed price and variable price (month-to-month) electricity products. 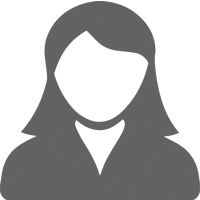 This allows customers to choose price certainty or the freedom of not being obligated to a contract term. Beyond these basic product types, Green Mountain Energy offers an extensive array of renewable attributes to differentiate their products. Green Mountain Energy allows customers to select solar generation, wind generation, or a mixture of solar and wind. Electricity rate plans are also available with smart thermostats and water conservation kits. Green Mountain Energy has a rate plan for owners of electric vehicles and a rate plan that includes a renewable attribute buyback feature for customers with their own solar or wind generation systems. Green Mountain Energy maintains product integrity through a comprehensive annual third-party audit. This audit, which Green Mountain Energy makes public, confirms that all claims of renewable energy content are valid. Green Mountain Energy offers non-certified renewable energy products as well as products certified by well-established verification programs such as Green-e Energy. However, all Green Mountain Energy products are independently audited and verified so that customers can be assured the electricity they are buying is offset by renewable generation. 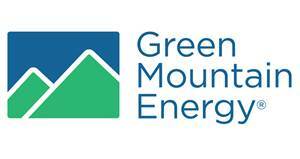 Green Mountain Energy extends its eco-friendly mission with paperless billing and information on every bill relating how many pounds of carbon dioxide the customer offset that month. I had Green Mountain Energy as my electricity provider at our condo in Port Aransas. They were very easy to do business with and I liked the environmental information on the billing statement. It translates the environmental benefit of using renewable energy into layman's terms. My only criticism is that I did not select the email billing option when I enrolled and it was difficult to switch to it later instead of getting paper bills.